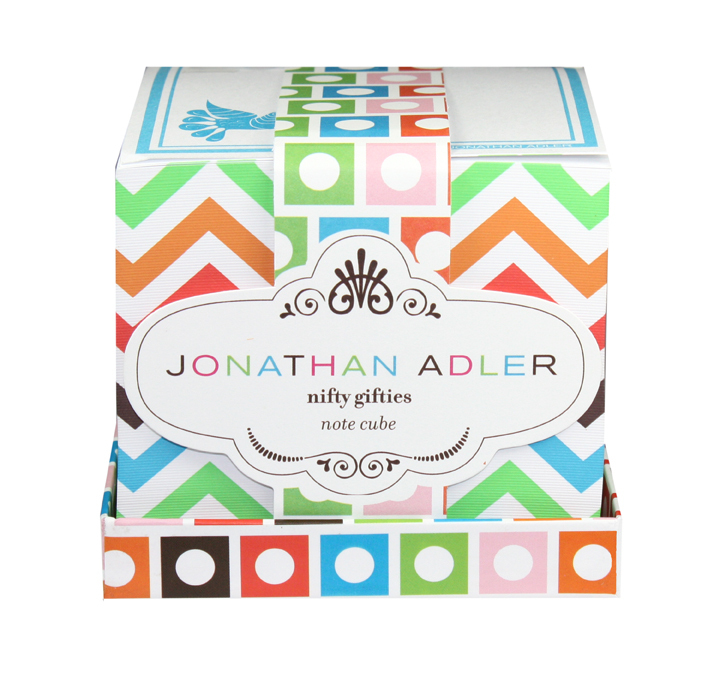 Liven up your desk or phone station with thie ziggin' and zaggin' design by home fashion icon Jonathan Adler. 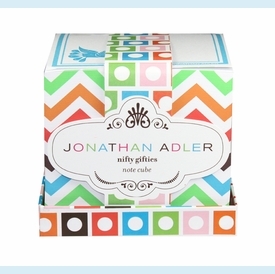 Enhanced compared to normal notecubes that are only printed on the sides, each sheet of this padded block has blue printed border and icon. Rests in coordinating box top. NOTE: Only 1 left!